DoneDone users are organized into companies. This makes it easy to work with multiple clients and organizations inside of your account. Next, click the Company Settings icon on the right-side of the page, then click Create a New Company. Finally, add the name of the new company you wish to add. If you've just created a new company from the steps above, you can now add people on the following screen. If you'd like to add someone to an existing company, head back to the Companies & People page (Step 1 above), and click the Add People icon. Next, choose the company you wish to add people to. 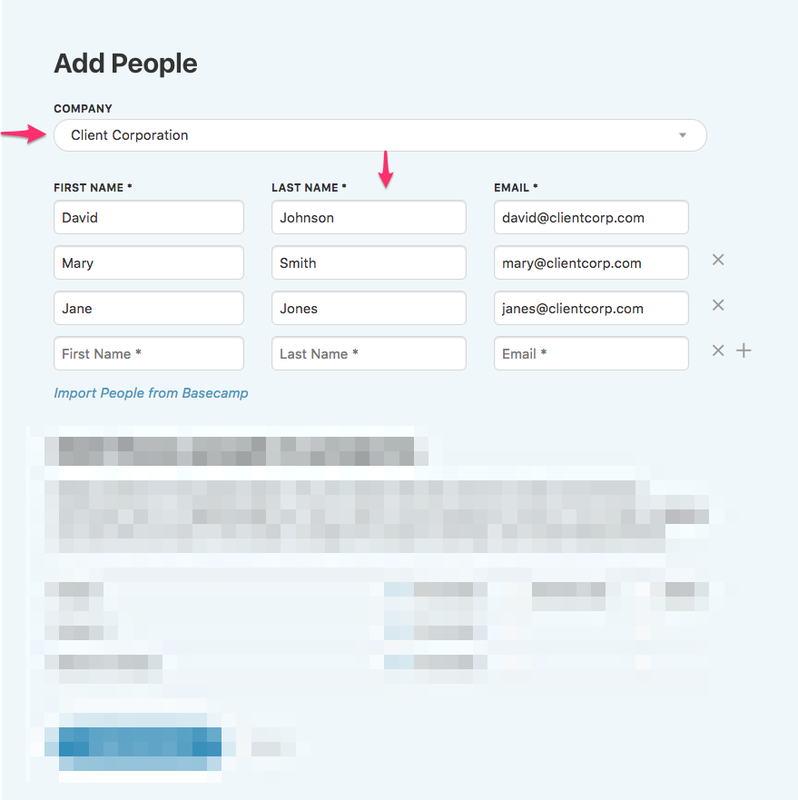 Then, add the names and email addresses of the people you'd like to add. You can click the + icon to the right of the last person to add more people. Note: You can also import people directly from Basecamp Classic or Basecamp 2 (We do not support the newest version of Basecamp currently). Next, choose the role that the newly added people will have in DoneDone. You can give the newly added people different roles depending on the project. The roles will apply to all people you've added in Step 4. So, if you want to give different roles to different people, you'll need to add them in separate batches. Read this article for a quick overview of the different project roles. Note: You can make a person an account administrator if they are being added to your company. Just check the Grant admin access box that appears just before the Add these people to projects section. Finally, click the Send Invites button at the bottom of the page. We'll send a registration email to everyone you've just added. You can also immediately begin assigning issues to them even prior to them completing registration.